American, c. 1970. On wooden platform. 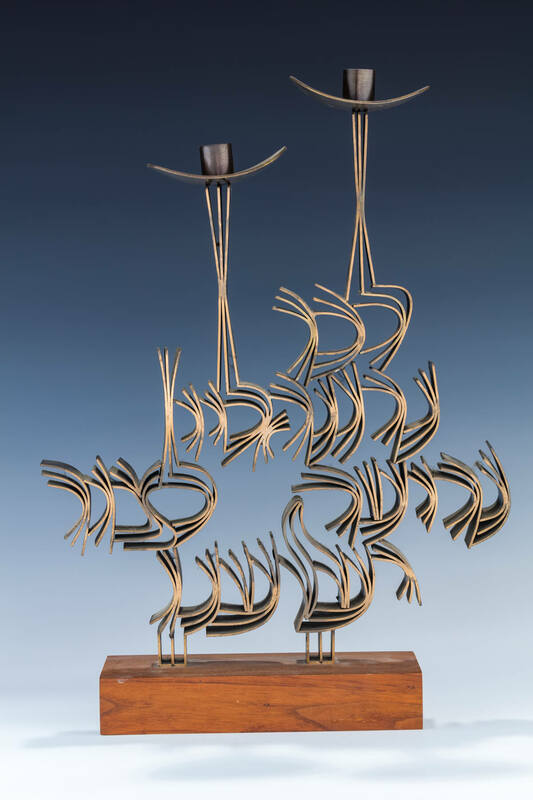 The body spelling out the first verse of the Kabbalat Shabbat prayer from Psalm 95: “COME LET US SING JOYFULLY TO HASHEM, LET US CALL OUT TO THE ROCK OF OUR SALVATION” 17” tall x 12” wide. Hand signed with Wolpert’s full signature.